Marion Allford was the Director of the Wishing Well Appeal, for which she devised the strategy and ran the appeal. It ran from 1987 to 1989 and raised £84m for Great Ormond Street Children’s Hospital. A comprehensive case history is available on the Showcase of Fundraising Innovation and Inspiration (SOFII) website. Click here to read the case history. In 2013 a Fundraising Study on the feasibility of raising £12m for a children's and women's project was completed and a full marketing and fundraising strategy and structure was presented. MAA's work included handling the successful recruitment of an experienced Head of Fundraising, with a track record of establishing major appeals. In 2012 MAA carried out a wide ranging review into whether collaborative fundraising by MAHSC members (Manchester University and 6 of Manchester's major hospitals) would be likely to raise more funds than their existing arrangements. Over 50 interviews were carried out with MAHSC members, other Academic Health Science Centres in the UK and USA and a number of prospective major donors. The resulting report was well received, especially by the University. In 2011, MAA undertook an extensive interview programme covering the group's 7 major hospitals, involving key Foundation Trust and Charity staff and representatives of key stakeholders, including University College London and University College London Partners. In addition, they examined best practice health related fundraising arrangements elsewhere and undertook a fact finding visit to a number of hospitals, other medical institutions and universities with a reputation for successful fundraising in the USA. The report of their findings, an options appraisal and a recommended strategy for the way forward was fully accepted by the Board. Britain won the award for the finest pavilion at the 2010 Shanghai Expo, the biggest world fair on record. Known as the ‘Seed Cathedral’ or ‘Dandelion’ because of its 66,000 radiating sprays of rods, it was among the top attractions, attracting more than 70 million, a record number of visitors. MAA played a key role in the campaign to seek private sector sponsorship for the iconic British pavilion on behalf of the Foreign and Commonwealth Office. Our activities involved a coherent strategy for targeting senior individuals and networks of influence and developing a suitable package of benefits for those companies who decided to become core sponsors. This role extended to defining the governance structure for the project as a whole. We also devised the ‘Board of Patrons’ concept, which proved popular and achieved £1/2m contributions from companies such as Astra Zeneca, GKN, BP, Diageo etc. Marion Allford created the strategy and advised on the start up of the £30m appeal in 2003 for a new infirmary for the Chelsea Pensioners. Part of this assignment involved carrying out a detailed study to identify and approach a suitable Appeal Chair. As a result of this work the Marquis of Salisbury accepted the position. The appeal succeeded in raising the funds and now has a beautifully designed new building to show for it. A new, national charity (now re-named The Scar Free Foundation) – for people living with disfigurements – was launched on the back of an appeal. We established the need, developed a corporate plan and charity name, provided an acting Director, assisted in recruiting top level staff, trustees and honorary fundraisers. The charity has raised over £9.5m since then and regularly brings in over £2m a year. 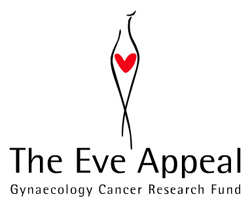 In 2002, we completed our work for the Eve Appeal, now a successful national charity which, since its establishment, has helped to raise more than £33 million towards the world-class programme of research into gynaecological cancer, based at University College London. MAA carried out a Feasibility Study, devised a Marketing and Fundraising Strategy, helped to build the leadership for the charity by attracting top honorary names (including the Chair), assisted with the recruitment of the first Chief Executive and devised the name of the charity. A national, educational charity for children with autism. MAA planned a major capital campaign; assisting with appointment of high level trustees and educational advisers; advised on organisational structure and appeal infrastructure; devised a detailed fundraising strategy and provided an interim Appeal Director. Half the £2.3m target was raised during MAA’s 6 month feasibility study for a new library. We then assisted in the establishment of new Development Trust and the appointment of a Development Director and provided an on-going advisory service. MAA carried out a feasibility study to devise a strategy for this £12m appeal for a new children’s hospital. We continued to advise until a high-calibre Appeal Director was appointed. The Wallace & Gromit Appeal was developed for the public phase, which included a very imaginative fundraising event – “Wrong Trouser Day”. After the completion of the successful appeal, this high-profile and popular event was developed to raise funds for many children’s hospitals in the UK.